The news bulletin ran footage of the demonstration. 200,000 people marching across Sydney’s Harbour Bridge. Black and White Australia walking together, in the name of Reconciliation. 200,000 bodies bridging the past, present and future. I watched with the sound turned low. The flickering screen lit the cold, dim room. The signal wasn’t great. The images occasionally rolled and ghosted. Then the footage cut to an aerial shot – to convey the magnitude of the event – and all the splendour was on display. The white fins of the Opera House, the ferries churning the water on the harbour and the column of the rally, embroidered in yellow, black and red, shuffling across the big coathanger. I hadn’t been in Melbourne long. I’d arrived from south-east Queensland and the Northern Rivers country after talking up the move for years to anybody who’d listen. I recall Georgie Scott getting annoyed with me banging on about it one day while we wandered around a paddock in Chinderah, NSW, finding ancient stone and shell artefacts on an old camp site where the NSW roads authority wanted the new bypass to cut through. Working for the local Tweed-Byron Aboriginal Land Council, Georgie and I had spent a lot of time together wandering up and down paddocks looking for signs of the old fellas. He’d had a gutful of my fanciful notions about moving to Melbourne. The inside of my head was a mix-tape of Paul Kelly classics when I finally did arrive in April 1998. I moved into a cottage near the corner of Moor and Smith Street, Collingwood, and started drinking. That was just about the extent of my plan. I was grog-sick that day watching Sydney’s Reconciliation Walk on the little tele. At my bedside was a book I’d chanced upon in the old Fitzroy library. I’d heard the name Frank Hardy, but never read anything written by him. Much of the book was set in Collingwood so I borrowed it and had been giving it a flick-through. The book’s introduction mentioned Hardy’s consideration for Aboriginal people and his role in supporting the Wave Hill walk off, which was another event I knew of only vaguely. I recall all this because after setting out to write something to commemorate the fiftieth anniversary of the Wave Hill strikes and the Daguragu (re)occupation, it occurred to me how deeply that event and certain other events preceding it were unwittingly stitched into my own personal history. 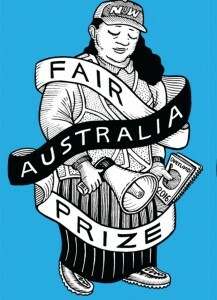 Strings of land rights, the land council, artefacts of cultural significance, ‘From Little Things Big Things Grow’, the Black history of Fitzroy and Collingwood, the unionist and author Frank Hardy. The phrases ‘watershed moment’ and ‘landmark decision’ are used so often that it can be a tricky business discerning just how significant an impact certain historical events can have on personal consciousness and the public narrative. Sixteen years ago the Reconciliation Walk was described by the media in those terms. 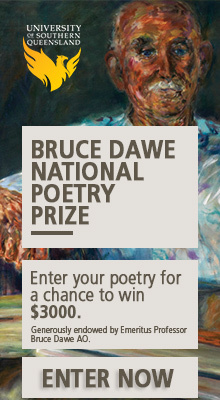 Lawyer and land rights advocate Mick Dodson, who was involved in the 1991 Royal Commission into Aboriginal Deaths in Custody and later was appointed the first Aboriginal and Torres Strait Islander Social Justice Commissioner, declared the event was the dawning of a brand new day. Yet the Reconciliation Walk and a host of similar public-oriented events that have since been financed by federal and state governments as being crucial or critical are often disregarded by numerous Indigenous people at the grassroots of the First Nations cause. While these events may function in other strategic ways in terms of fostering improved relations between Black and White Australia, the clamour and puffery surrounding them often obfuscates the gravity and urgency of the persistent issues affecting Aboriginal and Torres Strait Islanders. In contrast, Wave Hill (and Daguragu) is now embroidered into our sociocultural unconscious. It is an actual bona fide ‘watershed moment’ in the short history of the Australian Commonwealth. But what commenced fifty years ago on 23 August 1966 at Wave Hill was itself informed by an industrial dispute that occurred two decades earlier. The Pilbara Strike, which began in 1946, is still referred to as Australia’s longest strike. Involving around 800 Aboriginal workers at its height, the dispute was about fair wages and living conditions. As with Wave Hill, Aboriginal stockmen and station workers were being exploited for a pittance and enduring living conditions considered unfit for non-Indigenous employees. Twenty stations were affected, with strike camps occupying ground outside Port Hedland and Marble Bar in Western Australia for over three years. Also referred to as Blackfella’s Eureka, the strike eventually did succeed in forcing wage reform, albeit negligible, but unlike the Wave Hill walk off, the Pilbara dispute didn’t evolve into a land rights movement. When the dispute ended in 1949, many Aboriginal strikers never returned to the stations that were often situated on their traditional homelands. An observant thirty-something-year-old Aboriginal stockman known as Tommy Vincent would not have been alone in noting how the seemingly all-powerful economic and political forces of the colonists were effectively paralysed by collective action in country not too far to the west of the Gurindji homelands. After all, one of the key skills of a stockman is to identify number of head at a glance. By 1966, Vincent Lingiari was the senior lawman for the Gurindji as well as head stockman at Wave Hill Station. Title to the 906,496-hectare station was owned by brothers William and Edmund Vestey, meatpacking barons from Liverpool, England. The Vestey Brothers enterprise already had form in exploiting labour in Brazil, Venezuela, Argentina and Uruguay – as well as a demonstrable aversion to paying taxes – when they purchased the station in 1914. Despite a 1933 Ordinance that extended a wage of 5 shillings per week to Aboriginal people ‘employed in the country’ and the meagre wage reforms won in the Pilbara dispute in 1949, labour and living conditions at Wave Hill remained miserable through the 50s and 60s. Aboriginal workers were still working for food rations, blankets and work clothes, while only being accommodated in rough humpies. For much of that period it was also illegal for Aboriginal workers to leave the stations without a permit. Underscoring all the discrimination, deprivation and inequality was the palpable trauma of the numerous massacre sites that surrounded the station. One of the first actions of the Gurindji after downing tools and walking to Daguragu was to inter the bones of forefathers murdered at a nearby site into the caves of Seale Gorge. We would show the rest of Australia and the whole world that we are capable of working and planning our own destiny as free citizens. Much has been said about our refusal to accept responsibility in the past, but who would show initiative working for starvation wages, under impossible conditions, without education for strangers in the land? In May of this year, at the invitation of Victoria’s state government, representatives from First Nations around the continent gathered at Melbourne’s Southbank convention centre to discuss the issue of constitutional recognition and treaty. While constitutional recognition was once again rejected, there were persistent calls for a treaty that involved actual land rights and, by way of reparation, a genuine share of the profits from and future access to the resources on traditional tribal lands: the same calls for real agency sought by Lingiari and the other signatories on the Daguragu petition. And still present are the sorts of government policies that echo the discrimination of legislation like the 1918 Ordinance, which effectively exempted employers from paying wages to Aboriginal people. The Governor-General Lord Casey rejected the request, but we know well enough from Paul Kelly and Kev Carmody’s song that after seven years and much persistence, ‘a tall stranger appeared in the land’ and that Australian Prime Minister Gough Whitlam finally handed over deeds to Gurindji country. The size of property relinquished by the Vesteys was 323,600 hectares. The company held on to the remaining 582,896 hectares of traditional Gurindji land. What is not well-known is that the fight for inalienable freehold title to Daguragu lands went on until 1986. Two years later, Vincent Lingiari passed. 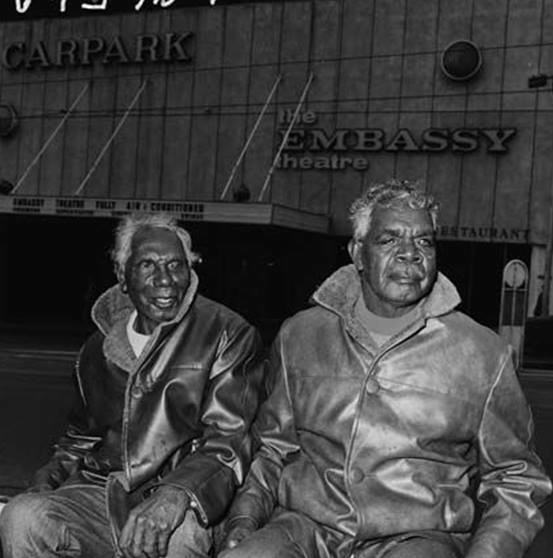 There’s a photograph of Lingiari and another well-known Gurindji elder, Donald Nangiari, wearing buttoned, fleece-collared leather jackets. It’s 1971 and they’re seated out front of the Embassy Theatre in Melbourne, clearly feeling the cold during a mission south to meet with people like then ACTU boss Bob Hawke. Most of the history texts note that the senior Gurindji lawmen went in all directions to drum up support for the fight for Daguragu. But there was more going on. In the big cities the old stockmen could see young Black land and civil rights activists rising, gaining momentum. They were savvy to the political effect of lending a hand. Just as the Gurindji welcomed wider public support, leaders like Lingiari, Nangiari and Captain Major Lupgna Giari knew that their presence helped the various struggles of their radical urban brothers. It was in the name of true solidarity. It was part of a bigger Cause.